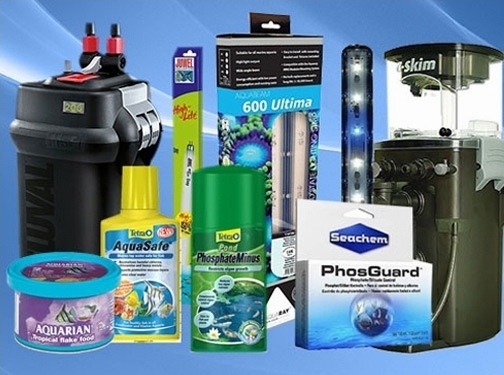 Complete Aquatics supply a wide range of aquariums and fish keeping products including marine aquariums, aquarium pumps, filters, heaters and aquarium lighting.They also sell a large selection of pond equipment and accessories too, such as pond pumps, filters, heaters and pond vacs. The aquarium tanks and cabinets on offer include models from popular ranges such as Red Sea Reefer, Red Sea Max S-Series, Fluval Edge, Juwel, Biorb, Eheim and Kent Marine. Complete Aquatics is run by staff with many decades of experience in all aspects of fish keeping and aquatics from reef aquaria to Koi ponds so they are also a very good source of information and advice, especially for those who are just starting to keep fish as a hobby. Particularly useful for the beginner are the range of books and DVDs that Complete Aquatics sell. UK (Blackburn, Lancashire) based business providing aquariums and fish-keeping products for sale. Website includes e-commerce facilities, delivery and returns information, terms and conditions, testimonials (via TrustPilot), details of business premises, full contact details.